Trey Porto, a NIST physicist and Fellow of the Joint Quantum Institute, spends his days using atoms and lasers to study quantum physics. But even outside of the lab, he views the world as one great physics problem to tackle. So one morning when he spotted some sunlight dancing across his wall, he couldn’t help but dive in and calculate its movements. 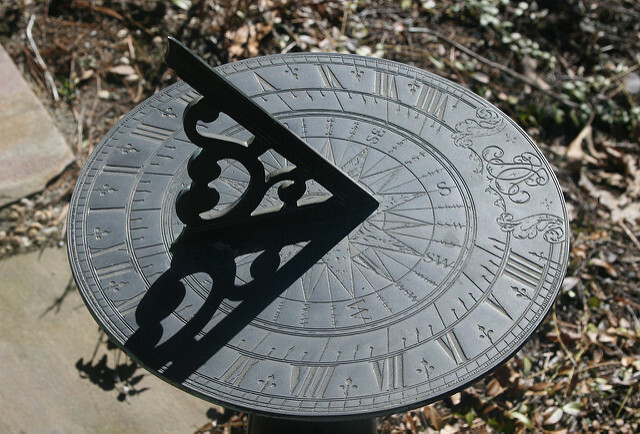 He then took his project a step further and began constructing a sundial. Emily sat down with Porto to hear about his clock-making hobby and how today’s time-keeping differs from its ancient counterparts. This episode of Relatively Certain was produced by Emily Edwards and Chris Cesare. It features music by Dave Depper and Poddington Bear. Relatively Certain is a production of the Joint Quantum Institute, a research partnership between the University of Maryland and the National Institute of Standards and Technology, and you can find it on iTunes, Google Play or Soundcloud.